It’s the last quarter of the financial year. It’s the best time to review your financial position, estimate your tax bill and determine what you can do to get your tax bill as low as possible (or your refund as high as possible). While we all love spending money on what we need now, tax planning season is also an opportunity to claim a tax deduction for growing your wealth. With the right planning you will not only be getting money back, but you’ll be getting a return on the money you claim as a deduction. If you haven’t maximised your contributions to superannuation this year, make sure you do. By putting your money into super not only are you getting a tax deduction now but you are growing your retirement nest egg. There is a limit to how much you can contribute to receive a deduction ($30,000 if you are less than 49 years old as at 30th June 2015, $35,000 if you are older) so please come and see us to make sure you don’t exceed the cap. An important part of growing your wealth is leverage – borrowing money to invest in an asset of higher value. If you have a leveraged asset, consider pre-paying the interest for the next financial year. If you have the cash available and you have had unusually high income for the year, a one-off prepayment might be what you need for some tax relief. Remember – if you prepay the interest this year, you can’t claim it next year. Please come and see us first so we can go through the impact of prepaying your interest with you. Please click here to get your copy of “11 Ways to Reduce your Tax”. 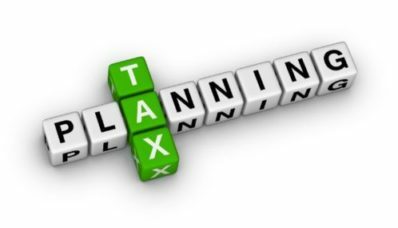 Contact us today to book in your tax planning meeting.